I have been working on getting new fonts since July. It has taken me awhile to find just the right thing, but it has been well worth the wait! I love them, and that it think will work great for i declare! charms. Leave a little note and tell me what you think! These will be available on the website after the new year! Here is a cute order I got a few weeks ago. 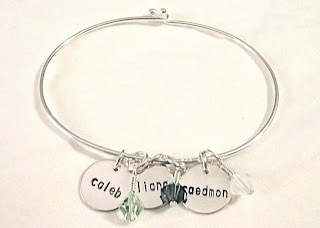 I love the simple style bracelet because you can anything to it without it becoming over bearing. 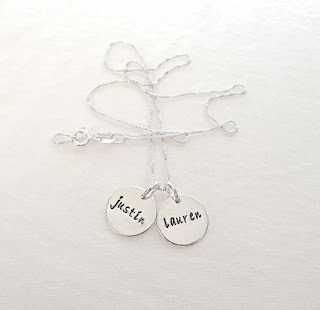 I do love making these lovely personalized sterling silver charms. I love helping others give great gifts. 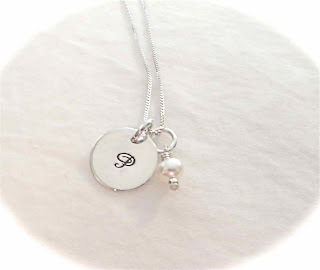 I love hearing how much someone loves their charm or their necklace or their bracelet. I love making them by hand and seeing something turn from nothing to fabulous. I do not, however, like being out in my garage when it is 11 degrees outside. (This is where I work the magic…it is a VERY messy process). I have my trusty Mr. Heater out there with me. But I find that I am practically standing on it trying to get warm, and then I have one scorched leg and the other has frostbite. 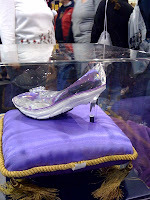 We just got back from the Las Vegas Rock ‘N’ Roll Marathon and 1/2 Marathon expo event. It was so much fun. It was the busiest expo we have been to yet (and that’s saying something since we have been to Boston too!). With 2 days of nothing more than a quick bathroom break, we are exhausted, but thrilled to have met so many more new runners/friends/i declare! charms customers! It always makes me a little bummed that I am not running too. The buzz and excitement of all those people picking up their packets, getting ready for the big day. Everyone likes to chat about their story, and we love to hear it while we are standing there in the middle of it all. Some people are seasoned and experienced. This is another notch in the belt. Some are newbies, and are so scared they can barely sleep. I can relate to both groups! One way or the other the gun goes off and the runners are on their way! There is just no way that I could run 26.2 miles after standing on my feet for 10 hours x 2 days, but I still feel a bit left out. Yesterday, our flight left only minutes after the starting gun, and as we flew out over the strip we could see the pack of runners on their way. I was cheering you on from 10,ooo feet. Especially those first timers. What a thrill!